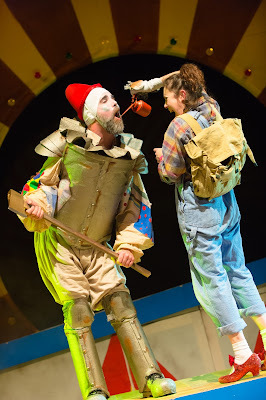 Get Santa at Northern Stage last year is something we have talked about ever since. In fact one of our family's favourite catchphrases is now "Meeeeaaaaattttt" which we hijacked from the show to keep as our own. 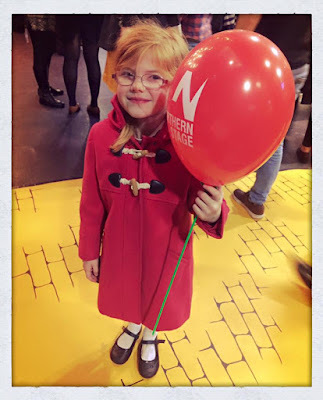 So this year's Northern Stage production (The Wonderful Wizard of Oz) for older children had a lot to live up to and I am so pleased to say it certainly excelled our expectations. 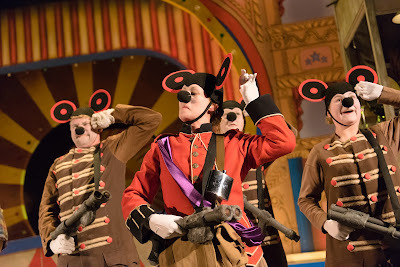 The show is definitely aimed at children aged 7 and over and adults. 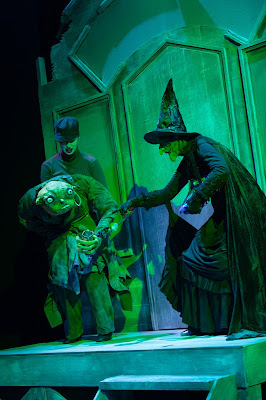 Heidi is 6 and 3/4 and was a little scared in parts (The Wicked Witch REALLY gets into character at times and there are a few scary and loud creatures in the woods plus references to bombs and guns). I know it would have been too long/too much for my 4 year old and I'm pleased he spent the night being spoilt at grandma's house instead. There were a couple of toddlers in the audience who were getting restless towards the end (try Up and Out Christmas Sprout if your children are under 6 years old). 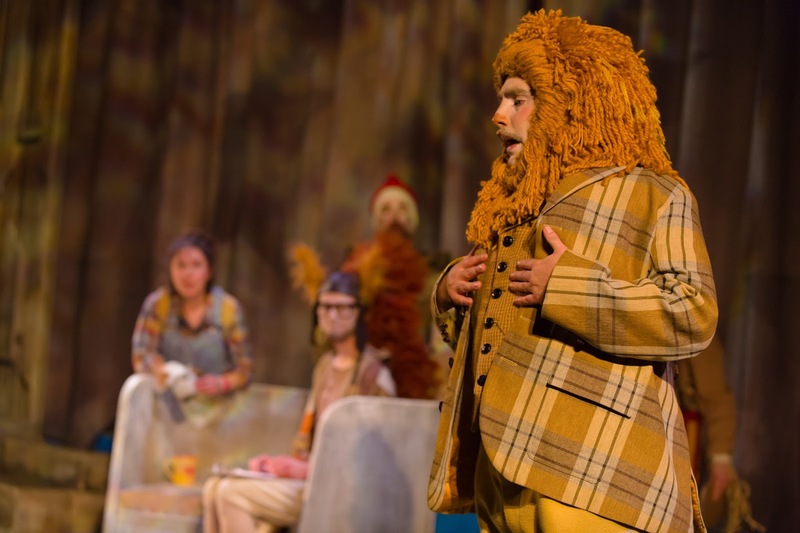 A lot of the jokes in The Wonderful Wizard of Oz are aimed exclusively at adults and will go over even the most streetwise of kids' heads. However saying this, Harry (9) and Heidi (6) were both mesmerised by the 2 1/2 hour performance as was I. 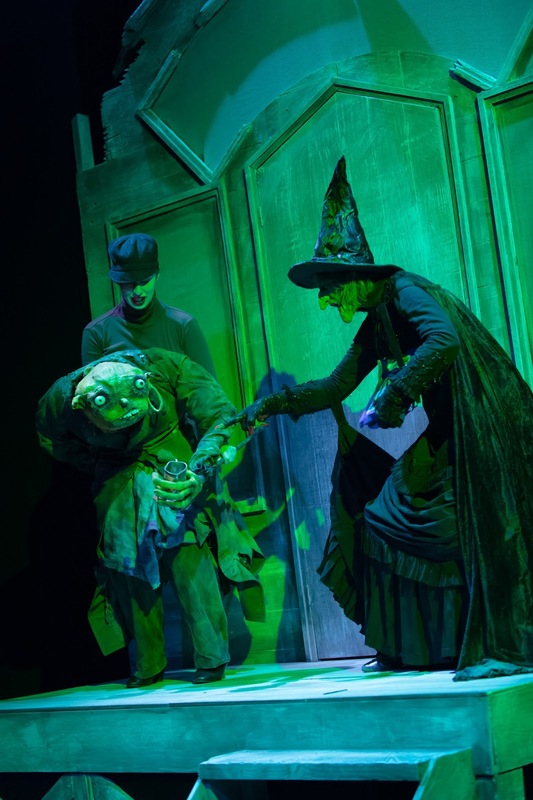 The Wonderful Wizard of Oz is an original adaption of the story for Northern Stage. With beautiful and imaginative staging, quick changing characters and live music it really is the definition of a feast for all your senses. 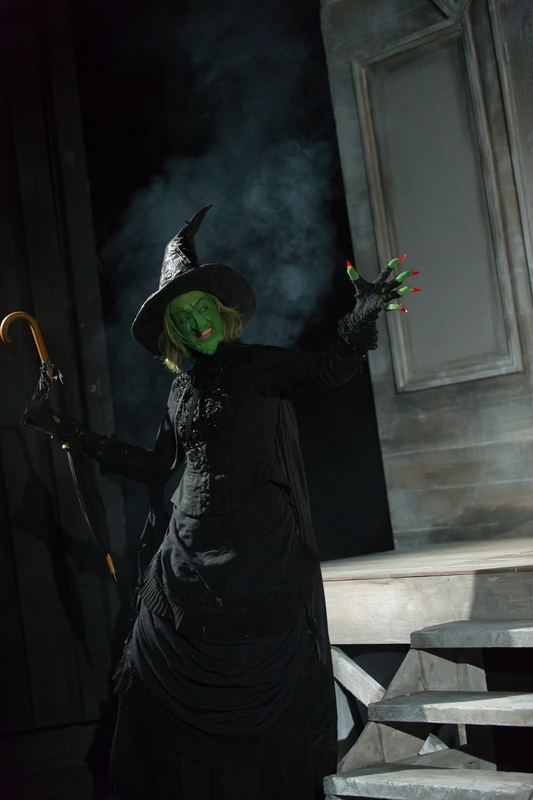 Every performance from the cast was exceptional but if I really had to pinpoint a couple of favourites it would be Zoe Lambert as The Wicked Witch and Alice Blundell as Glinda. The Wicked Witch really held the stage and was just a picture of pure evil - in fact she scared me a little at times! Zoe was simply wonderful to watch. 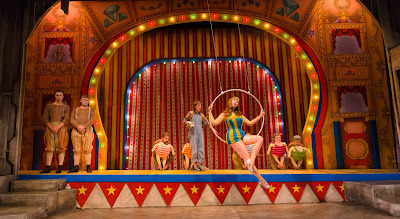 Equally, every time that Glinda took to the stage the audience were hanging on her every word. Sickly sweet and with hints of that annoyingly perfect personality we can all probably see in someone we know, she had the audience laughing on more than one occasion. 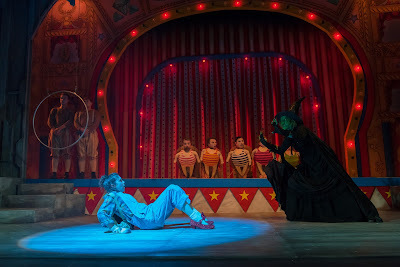 With Maria Crocker convincingly playing the part of the loveable & scatterbrain Scarecrow, Carl Kennedy playing the over-emotional Tin Man and Michael Blair as the cowardly lion, the all-star cast at the heart of the show really portrayed the message of love, friendship and acceptance well. The supporting cast are weird and wonderful and take you on a bizarre and surreal journey around Oz. 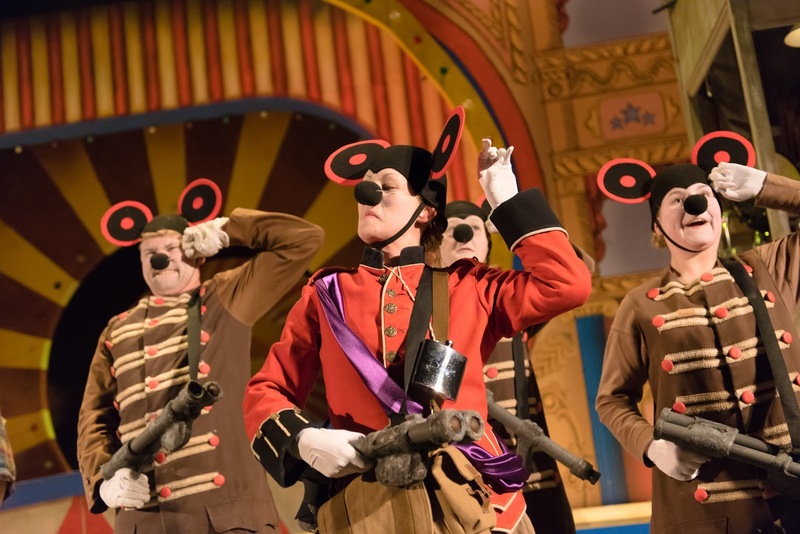 Expect to find Munchkin dancers, 'Mouses' that form an army, trees that act as border security and plant weapons on Dorothy and her pals and of course Toto the dog who is brought to life in sock puppet form. Heidi adored Tessa Parr as Dorothy and craned her neck every time the ruby red slippers were on stage. As a parent, I personally loved that Dorothy was a bit of a tomboy who wasn't scared to challenge and stand up to those she needed to in difficult situations and promoted helping others and the importance of friendship. This Dorothy is actually a fantastic role model for kids and I would far rather they watched her on stage than a helpless Princess in a pantomine. 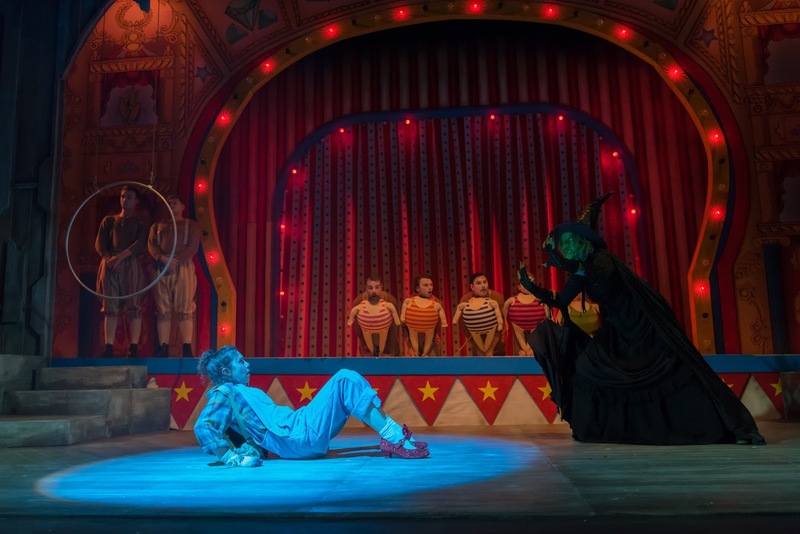 Harry on the other hand was a big fan of Winkie Slave (also played by Alice Blundell) and the kids in the audience will love the creative puppetry and his never ending tongue! Harry also commented that he enjoyed feeling as if he was actually part of the show - the lion and monkeys come out into the audience at a few points throughout and the cast often stop to talk to 'the watchers'. The Wonderful Wizard of Oz continues at Northern Stage (often with two performances daily) until 2nd January and tickets are available from just £12. 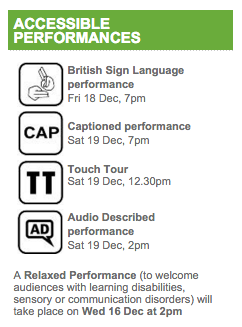 The Northern Stage is a wonderful inclusive theatre and there are a range of accessible performances available too. I would like to finish this post to say that this show isn't just for older kids. 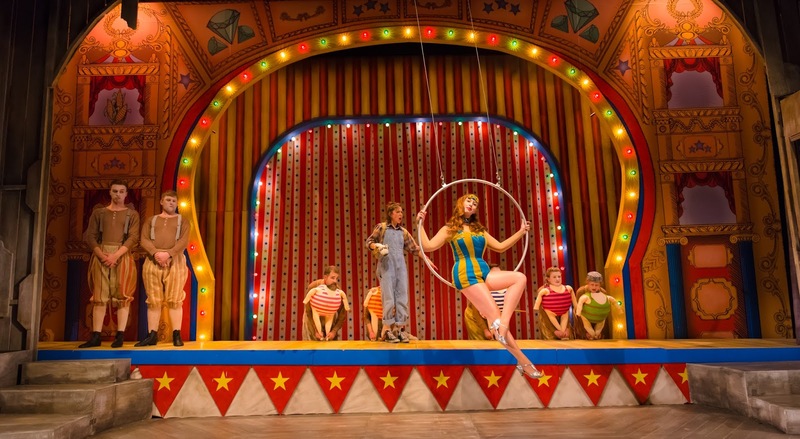 If you are grown up who loves the story or the magic or theatre, you won't regret going along and really don't need the excuse of not having a child to take along to enjoy the performance. I could quite easily have seen myself sitting there on a date with my husband as well watching with the kids. My only worry with The Wonderful Wizard of Oz is how on earth are Northern Stage going to top it next year??? ?